The Heart 2 Heart prompt for this week is Creative Cards -ANY size or shape except NOT a standard (A2; 4.25”x5.5”) card. I don't want to toot my own horn, but I happen to think I have made the most adorable card of my crafting years yet! I looked through my Cricut images for a shaped card, and found this starburst shape from the Art Philosophy cartridge. I then created a slightly smaller version to get the layer of patterned paper over the cardstock base. 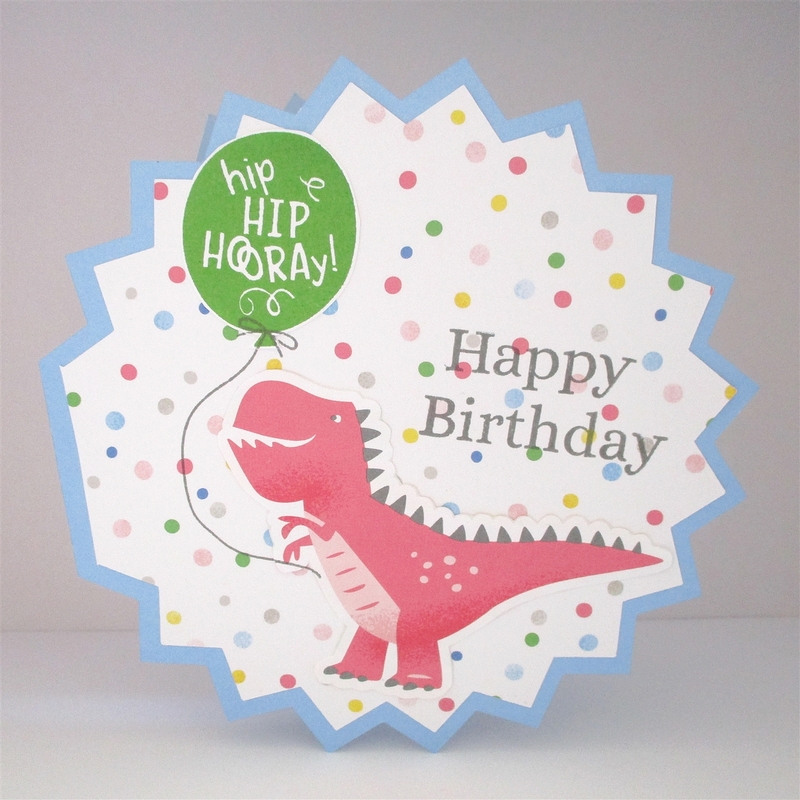 I fussy cut the pink dinosaur from the new cut out sheet in the Something Fierce paper packet, and then stamped the balloon from the matching stamp set onto white cardstock and fussy cut it as well. I stamped the balloon string in Pewter ink, as well as the Happy Birthday sentiment that is from the January Stamp of the Month. I'm so pleased with how this card turned out! 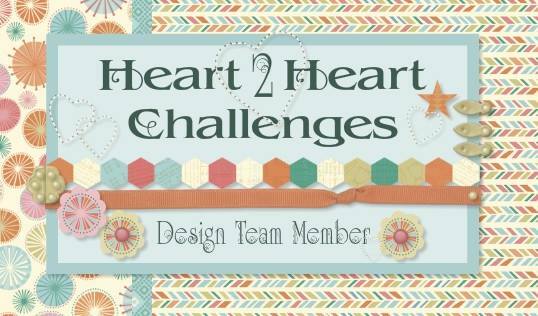 I hope you will join us with your own Creative Cards at Heart 2 Heart challenges.